Over the years, Footloose has performed at virtually every venue and reception hall in the Wabash Valley. Since 1983, we have played at over 2,000 wedding receptions; school dances; proms and post proms; college parties for ISU, SMWC, RHIT, Depauw; holiday events; class reunions; birthday parties; bat and bar mitzvahs; and other events. We have an exceptional music library, with a diverse collection of danceable songs from the past six decades to the latest hits of today. New music is added each week as it is released. Because we have such an extensive collection, we are able to fulfill requests for well known as well as rather obscure songs. We invite our clients to prepare a request list of favorite songs you wish to have played at your event. We can help you with song selections and can meet with you personally to plan your event. We have all of the latest top 40, pop, hip hop, rock, and country songs to augment the best music from the 1950s, 1960s, 1970s, 1980s, 1990s, and 2000s. Wedding receptions are our specialty. Footloose DJ Entertainment has been serving the Wabash Valley and beyond at wedding receptions and other events since 1983. A wedding reception is much more than simply playing music for dancing. Over 2,100 satisfied clients have given us the experience to provide you with exactly what you want for your reception entertainment, customized to your tastes. While there are many choices for your wedding reception entertainment, there are actually only a select few in our area that are truly capable of properly performing at an important event where there are no do-overs. With a wedding reception, it has to be done right. Music is an integral part of a successful and enjoyable party. The disc jockey experts with Footloose will provide you with the proper mixture of music to ensure your reception will be a fun-filled event. Wedding receptions are our specialty, as we have virtually all types of music to choose from. If you and your attending guests enjoy the latest top 40, dance, rock and roll, oldies from 1950's to last year, country, and/or slow dance ballads, then we have the music you'll want at your reception! You can choose the music you want played at your reception -- you may choose to have only one or two different types of music featured, or, if you're like most of our clients, you'll want a mixture of music to please everyone from grandma and grandpa, to mom and dad, plus your best friends from school. Our music library is comprised of the greatest hits of all time. With tens of thousands of songs in the Footloose music library, we're sure to have the music you'll want to hear. We even offer reception favorites, including the Electric Slide, YMCA, Cha Cha Slide, the Chicken Dance, Cupid Shuffle, and many more to maximize audience participation! Footloose DJ Entertainment provides you with an experienced, professional disc jockey to not only take requests at your reception, but to also provide your guests with all of the necessary announcements, from the cake cutting, to the garter and bouquet toss, to the announcement of the first dance. Footloose disc jockeys dress appropriately for the occasion, so you need not worry about a disc jockey that shows up in jeans and a t-shirt (we've even heard horror stories of local DJs that wear baseball caps while they work!). All Footloose disc jockeys are experienced public speakers. We issue contracts which lock-in your date on our calendar and provide you with a written guarantee. We are fully insured and have a great working relationship with all area reception halls and photographers. We receive most of our bookings through word of mouth referrals and from clients that have attended one of our events. It is very common for us to perform for one member of a family and then subsequently perform for all of their family members. We pride ourselves on making sure that you will be proud to have us perform on your special day and your friends will want us to perform for them in the future. Other clients turn to us after having seen the shortcomings of other entertainment choices who failed or didn't know how to get everyone involved. Footloose is economically priced. While there are ''bargain'' priced disc jockeys for hire, the professionals at Footloose are available without charging outrageous prices. We offer a variety of packages, allowing you to pick the proper number of hours for your event. We also offer a variety of options, including our popular lighting system that will add color and mood to your dance floor area. For those that like to sing, we offer karaoke as an option. As an aid in planning your wedding reception, we offer exclusive planning assistance. We can also create a custom first dance wedding plaque to commemorate your special occasion. We perform at approximately 100 private functions throughout the Wabash Valley each year. We have played at virtually every location in the area. You are invited to schedule a personal meeting with us to learn about our Five Exclusive Techniques that Footloose implements to maintain our position as the area's leading disc jockey for quality entertainment. Choosing the wrong entertainment or choosing someone that is not qualified can negatively affect many aspects of your reception. What happens if the DJ can't get people to dance, or is only successful in getting the youngest guests to dance while alienating all other age groups? Or they can only get the older guests involved while alienating the younger guests? Brides and grooms should do their homework and must realize that just because someone is a DJ, it does not mean that they are capable of performing for you on such an important day. Bad entertainment can simply ruin your reception. If the DJ does not know what is appropriate for dinner music the entire party will be off to a bad start, and the end result can mean that your guests won't be in a festive mood for the hours that follow. A poorly qualified DJ can cause your party to end much earlier than you expected, which actually costs you money. For most, the perfect wedding is something that you've dreamed of for a long time and you've invested a lot of time and money planning. If your guests leave early, that is a direct reflection on you. 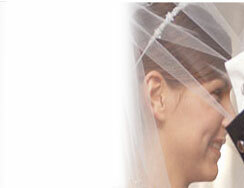 Footloose understands our role in representing you and realizes the importance of your wedding. When first exploring entertainment options, many brides and grooms enter the process with the assumption that finding a DJ is as simple as making a couple of phone calls until they feel that they've found the lowest price that they can find. The average DJ in the Wabash Valley charges about $75.00 to around $100.00 per hour. But you should ask yourself if you will be satisfied with having simply "average" entertainment. Chances are, you didn't keep shopping until you found the lowest price for a wedding band or dress, let alone the lowest price for food or a location to host your reception. Footloose does not charge an "average" or below "average" price for our services. And we won't deliver a performance that is simply "average". Should you have questions concerning our services or need assistance in locating a reception hall, portable photo booth, photographer, wedding cake, or related service, feel free to discuss your questions with us. You can call us at 812-238-2174. We're waiting to serve you! Footloose can provide music and/or audio support for your wedding ceremony. As a multi-system company, separate equipment may be used for your ceremony, which means that we can provide ceremony music even if the ceremony and reception are held at different locations. We can also provide services for ceremonies that are held outdoors. Over the years, we have provided music and/or audio support for ceremonies at locations such as St. Mary-of-the-Woods, St. George Social Center, Idle Creek Banquet Center, The The Landing, Ohio Building, Meadows Banquet Center, the Shrine, and many other locations as well as area churches. We have a large selection of traditional ceremonial songs that can be used for all of the key elements of the ceremony. From the time that guests begin arriving, to the seating of parents and grandparents, the arrival of the groom and groomsmen, the bridesmaids, and, of course, the perfect song for the entrance of the bride, Footloose has classical, strings, piano, as well as non-traditional music for the ceremony. Once the ceremony is underway, music might be needed for the lighting of the unity candle, or perhaps soft music played to underscore a reading. At the conclusion of the ceremony, most brides will want a recessional played as they are proudly announced as husband and wife, and we have many traditional and non-traditional selections. A growing trend is for brides and grooms to add their own personal touch to the ceremony by choosing a favorite song or musical piece, even if it's not necessarily a traditional wedding song. Songs such as "At Last" by Etta James, "It's A Beautiful Day" by U2, "Happy Together" by The Turtles, or perhaps your favorite sports team's music can be the perfect song for the recessional. If you are using live musicians for the ceremony, Footloose can provide audio support for singers, the officiant, the reader, or even the bride and groom. We have an array of wireless devices and microphones that will allow us to be set up in a small, unobtrusive area, while providing you with sound technician services. We not only have hand-held wireless mics, but also can provide "clip-on" style lavalier microphones. While we'd never suggest placing a microphone on the bride since it would show up in all of your photographs, we can offer solutions to mic your wedding ceremony. Fees for providing ceremony music and/or audio support will vary depending on customized plans that best meet your needs. The typical cost to add the ceremony to your reception will be in the range of $150 to $200. When planning your school dance, the music will be the essential ingredient that will make your event memorable and a success. By securing the Wabash Valley's Leading DJ service, you'll not only get the area's most experienced DJ company, but also the proper music selection. From hip-hop to top 40, to rock, rap, country, and oldies, Footloose has all the hits of the past and present, plus a lighting system to illuminate your dance floor. We have all of the hottest radio tracks to keep everyone on the dance floor. We take requests before and during the event and feature hits by recording acts such as the Black Eyed Peas, Ke$ha, DJ Unk, Justin Timberlake, T.I., Rihanna, Pitbull, Lady Gaga, Flo Rida, Taylor Swift, and many, many others. If you're into country music, we have all the hits from acts such as Rascal Flatts, Tim McGraw, Keith Urban, Brad Paisley, George Strait, Zac Brown Band, and many others. For high school, middle school, and elementary events, we play music that is suitable for the student body and the occasion. We are fully insured and eliminate the problems that schools often have with less-professional DJs. We also cater to needs of the college community. Over the years, we have performed for sororities, fraternities, and university functions at Indiana State, Rose-Hulman Institute of Technology, Saint Mary-of-the-Woods, Depauw, IU, Lakeland College, and Eastern Illinois. We have all of the favorite songs for your next formal or dance event. We can combine the latest dance hits with some of the all time dance classics, or, if you are planning a themed evening, we can help you with the planning and create the ultimate playlist. Call today for great rates! We are experts in providing great DJ entertainment for schools! Securing the proper music for a class reunion may be the most difficult job for a planning committee. Without a knowledgeable DJ with the proper mixture of music, a class reunion can become dull and boring. Over the years, Footloose has performed at reunions celebrating five to fifty years, with every milestone in between. To add excitement and entertainment to your reunion, Footloose can implement tasteful games, name that tune contests, and more. We will work with your committee to design the outline of events. New Year's Eve is one of the biggest celebrations of the year. Footloose can help you ring in the new year with a great selection of music. Depending on your event, you may wish to have us play background music during dinner. Games can be used as an icebreaker to get the party started, and dancing can go well into the evening! New Year's Eve is also popular for wedding receptions, as couples decide to tie the knot on the last day of the year as well as provide a party for all of their friends and relatives. Holiday parties are held by companies to celebrate the season and provide a social environment for the work force and their families. Each year, Footloose provides expert DJ entertainment for companies throughout central Indiana and Illinois. We can implement games, prizes, and contests for your event. Many companies plan their events six months or more in advance. We urge our clients to secure our services early to lock in your date. For parties that will have attendees of a wide range of ages and musical tastes, we can provide a mixture of top 40, rock, country, and oldies to keep your guests on the dance floor all evening long. We've been performing at holiday parties for more than two decades and can provide the proper entertainment for your event. Many companies have now opted to schedule their holiday parties for the month of November or even after the holidays by holding their party in January. By choosing one of those months, more guests are able to attend since there won't be as many date conflicts that the month of December presents. 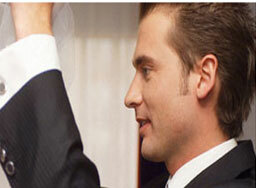 Corporate parties are held by companies to provide a social environment for the work force and their families. Each year, Footloose provides expert DJ entertainment for companies throughout central Indiana and Illinois. We can integrate games, prizes, and contests into your event. For parties that will have attendees of a wide range of ages and musical tastes, we can provide a mixture of top 40, rock, country, and oldies to keep your guests dancing. We've been performing at corporate parties since 1983 and can provide the proper entertainment for your event. Many companies conduct summer parties, and Footloose can help you with your plans. Call us at 812-238-2174 to discuss your plans in greater detail. Footloose can make birthday parties memorable events. Whether it's a birthday party for a youngster, or someone that hits a milestone, we will customize the music and performance for the event. Parties are often held for milestone birthdays, such as when one turns 13, sweet 16, 21, 30, 40, or 50 years of age. We once performed for a one year old's birthday party and have also performed for several folks that have turned 80! The music and events can vary greatly depending on the age of the guest of honor, as well as the ages of those that will be attending the party. We can design the proper entertainment for virtually any age group. With our vast experience of playing at events since 1983, Footloose is the only DJ service in the Wabash Valley that has performed at both bar mitzvah and bat mitzvah parties. We will customize the performance to your expectations, and can implement games into the party to get everyone involved in the action. Anniversary parties are special events, and Footloose has the experience and knowledge to help make the party a memorable event. Like wedding receptions, anniversary parties can pose a challenge for DJs that are inexperienced. Typically, anniversary parties will have a wide variety of age groups in attendance. We've been performing at anniversary parties and other events for over 20 years, and realize that it requires a mixture of music to get everyone on the dance floor. Call the Footloose experts at 812-238-2174 to learn more about our services for anniversary parties.